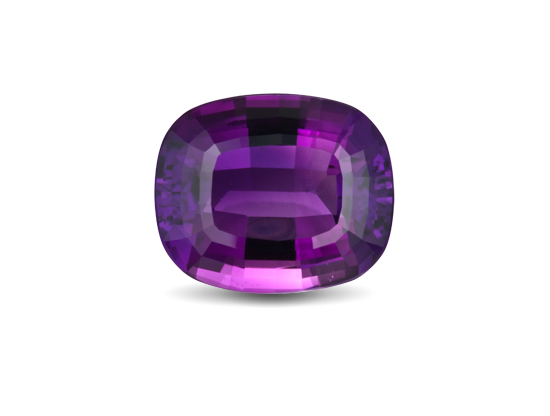 This 13.44-ct. Zambian gem displays the rich royal purple color typical of fine amethysts. Amethyst is available in many shapes and sizes including antique cuts. 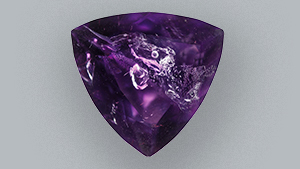 The finest amethysts are typically eye-clean. These crystals are typical six-sided columns with tapering faces that meet in a point. 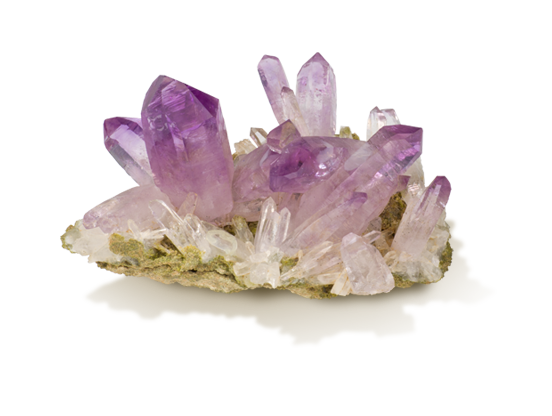 Amethyst crystals often show purple and colorless zones. 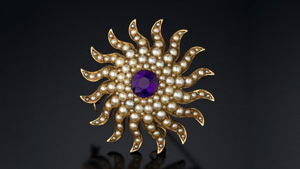 Amethyst is the birthstone for February and the gem for the 6th and 17th wedding anniversaries. 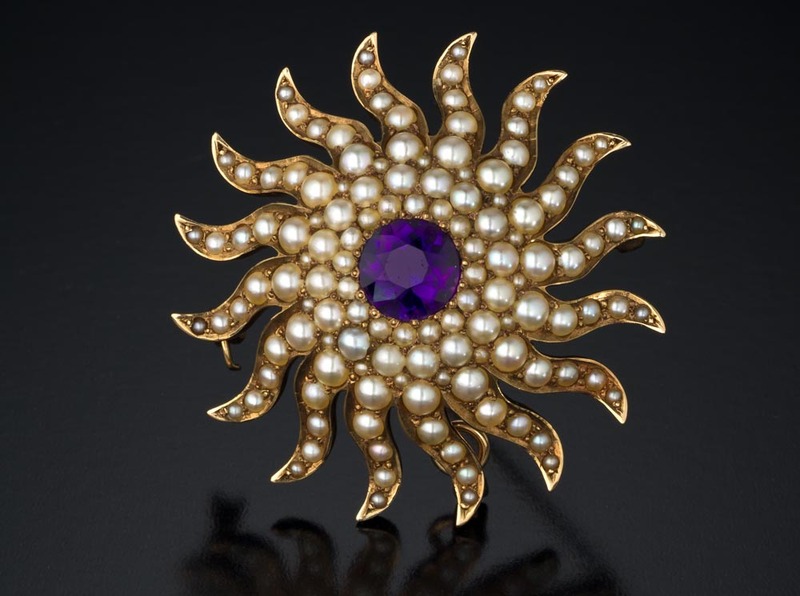 The patron of romantic love wore an amethyst ring carved with the image of Cupid. The astrologer wrote that amethyst quickens intelligence and gets rid of evil thoughts. 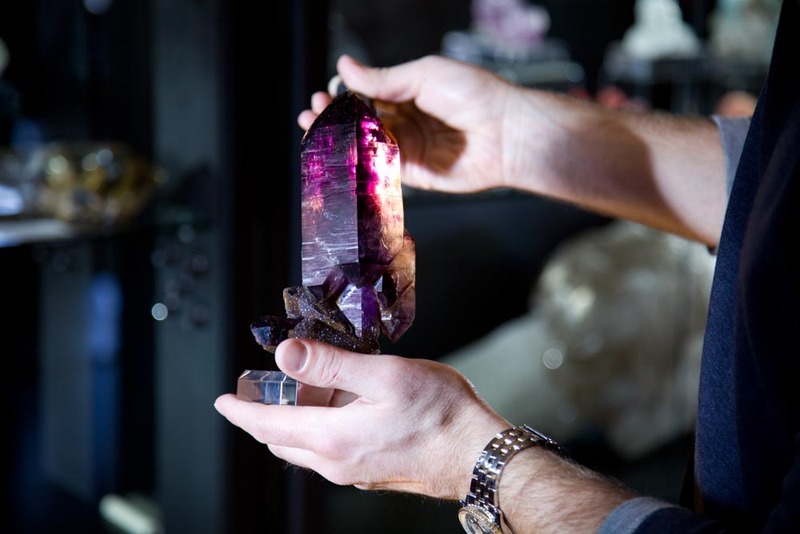 In gem localities like Brazil, amethyst sometimes forms in hollow, crystal-lined geodes so big you can stand in them. Even fine amethyst has a modest price tag. 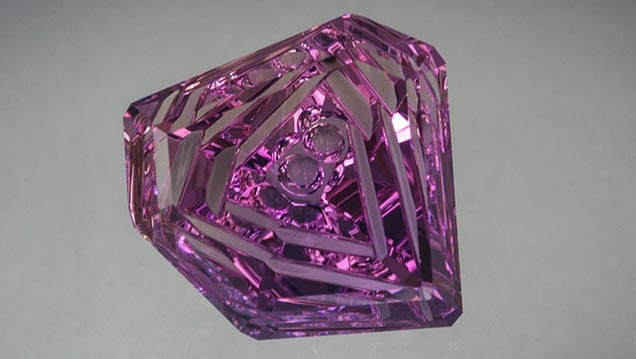 Large gems remain affordable as price per carat does not rise dramatically with larger size. 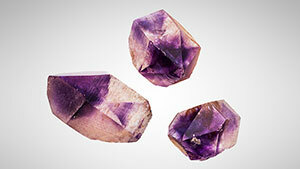 In Bolivia, amethyst and citrine occur in the same crystal. 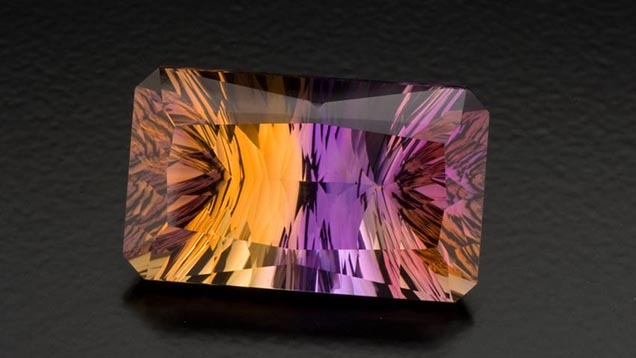 The unique gems, called ametrine, are half purple and half yellow.